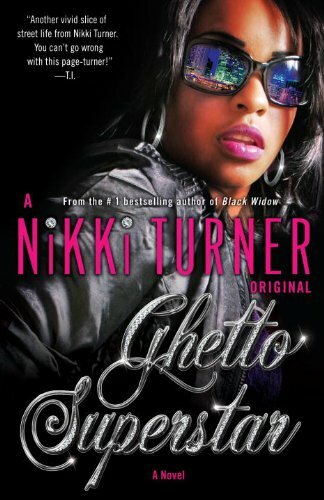 The reigning queen of hip-hop lit, Nikki Turner, takes on the music biz in this tale of a young woman who risks everything to be a superstar. Fabiola Mays was born to sing. She has a voice like honey and a body to match, but one heartbreaking setback after another threatens to derail her dreams of a recording deal. To make matters worse, itâs Christmastime, rent is past due, and the cops intend to kick her tight-knit family to the curbâuntil a small-town gangster comes to the rescue and offers them a place to stay. Years pass, and Fabiola continues to play gigs and travel around the country hoping for another shot at fame. Sheâs long forgotten the gangster named Casino who bailed out her family once upon a time. But when Casino is shot, Fabiola feels that she must help the man who helped her family during their lowest point. As Fabiola climbs the ladder of success, she is pulled between the spotlight and the street, trying to resist industry moguls who find the allure of fresh meat irresistible and the thugs from the shadowy side of the ghetto who threaten to keep her close.